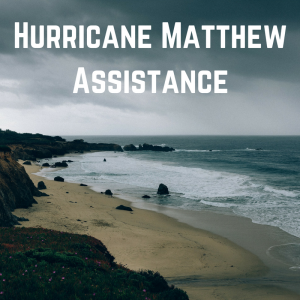 As Hurricane Matthew begins its path of destruction, the professionals at Goodman-Gable-Gould/Adjusters International (GGG/AI) are ready to assist those who suffer property damage and business interruption. Since 1941 we have worked solely for the policyholders that have sustained damage – not for insurance companies. GGG/AI has helped thousands of businesses and homeowners with their loss measurement, claim negotiations and financial recovery. Our teams (120 employees, eleven offices) have extensive storm response experience, gained through our work assessing damages from such hurricanes as: Hugo in 1989; Andrew in 1992; Marilyn, Luis and Opal in 1996; Charlie, Francis, Ivan and Jeanne in 2004; Katrina and Rita in 2005; Gustav and Ike in 2008; Irene in 2011; as well as Tropical Storm Allison in 2001 and Hurricane/Super Storm Sandy in 2012. We are providing these informational materials for those preparing for the approach of this storm. We have front line teams in place ready to assist those in the impacted areas and we encourage policyholders to contact us to see how GGG/AI can help you on the road to recovery by calling us toll-free at 800.858.3900, ext. 3, or contact Barry Flax at bflax@gggco.com, cell 301.252.0548.